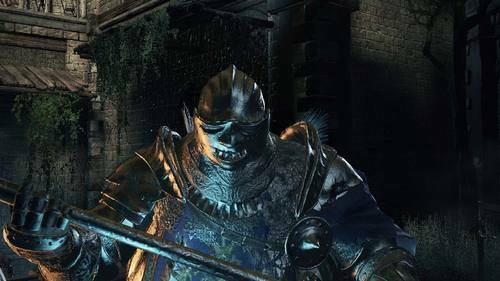 He stalks around a courtyard littered with dozens of empty suits of armor. 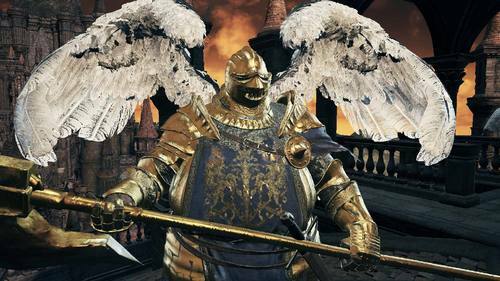 Three clad in golden armour and full wings can be found atop the Grand Archives. Halberd wielded by the Winged Knights, who swore themselves to the Angels. The thick, heavy, bloodstained blade can only be swung by one with inhuman strength.